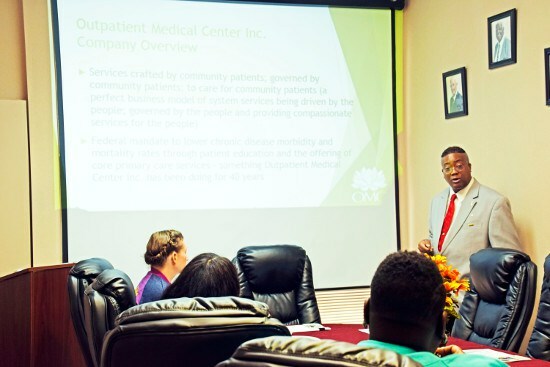 Carl I. Walters II, the CEO of Outpatient Medical Center, Inc. held a Discussion Forum. The purpose of this meeting was to brainstorm with supporters from the community about how entities in Natchitoches can work together to build an integrated healthcare delivery system. This system would ensure that families in the Parish receive the right care, at the right time and in the most cost-effective treatment platform. Some food for thought questions Walters raised included: How to respectfully address the issue of service/infrastructure duplicity that drives up community cost for care needlessly? How to bring up a viable and financially stable transportation system within the Parish? How to work together to bring more affordable housing to the Parish? How to drive stronger economic development for the Parish in order to put more families to work in companies offering competitive salaries? How to create a comfortable community discussion forum designed to bring the entire community together and eliminate the perception of racial/social inequality?